What is involved in building church? Sharing individually an inspiring building we had visited - and why it was so. We sang and read the Bible together. (1Peter 2:4-10) and, in groups, considered questions related to the passage and shared our findings with one another. 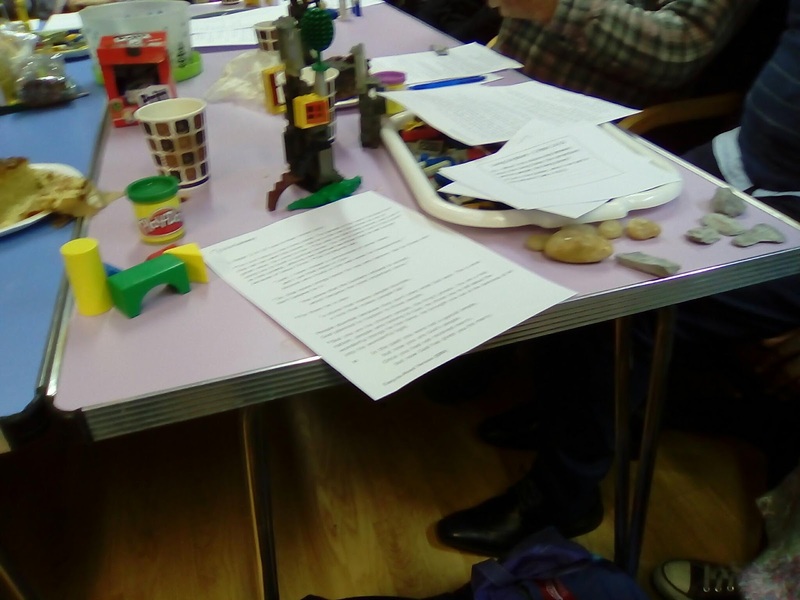 In our groups we then considered the good and bad aspects of the different building materials ( polished stones, rough cut stones, colourful wooden blocks, playdough - see them in the photo). How do we in Dyffryn Clwyd / Ruthin build one another up under Christ our cornerstone....?